At Newtown Savings Bank, we have earned our reputation as a respected leader in the financial services industry by employing the most qualified individuals available and ensuring that these individuals have the necessary tools to be successful within our organization. In the eyes of the customer and the community, the employee is Newtown Savings Bank. Therefore, the continued success of the Bank depends on each employee's ability to deliver a great experience every time. Our Vision is that every customer feels good about each experience with us. If you believe that every experience is important, we would love to talk to you! If you are interested in applying for any of the positions listed below and meet the minimum qualifications, click on the name of the position and follow the link found within the job posting to apply online. Thank you for your interest in employment at Newtown Savings Bank. We support a drug-free work environment and require a pre-employment background check and drug screening. Newtown Savings Bank is an equal opportunity and affirmative action employer regardless of race, gender, disability status, protected veteran status. All qualified applicants will receive consideration for employment without regard to race, color, religion, gender, age, marital status, national origin/ancestry, sexual orientation, gender identity, disability status, protected veteran status, or any other legally protected status. We will reimburse the fee within one business day of the transaction. 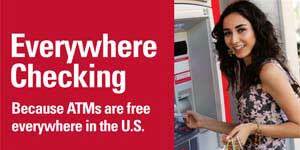 Checking options include Everywhere Checking where we reimburse the fees charged by other Bank's ATMs in the US.